If you haven't looked at Palo Alto-based cc:Betty yet, perhaps you should. cc:Betty promises to keep everyone on the same page. Still in beta, it's a useful web app that helps users organize their email communication, collects email content, catalogs attachments and files, and also maintains your contacts. It's also amazingly simple to use. Besides adding content on the cc:Betty web site, users can simply add [email protected] as an additional recipient (To/Cc/Bcc) to email they send, and it shows up in their cc:Betty account - email content, attachments, et al. With the click of a button, users can publish the discussion to their Facebook feed. And therein lies the threat to your data! Although it's an impressive tool for personal use (the usual caveats about personal information and privacy apply), organizations and IT departments must consider the consequences carefully. Many small businesses and organizations operating in unregulated industries or locales may not consider themselves to be at risk and actually welcome such services. If your organization isn't one of them, consider that simply adding another recipient to all email messages results in data leakage. How's this any different from adding any other recipient to an email? Unlike other recipients, the sole purpose of cc:Betty is to facilitate further sharing of email content outside an organization. Email can contain sensitive information— including high business impact (HBI) data or personally identifiable information (PII). Transmitting and storing such information outside the organization, with no control over the content or its security, could expose your organization to multiple risks. Regardless of whether you find content scanning by an automated process acceptable or not, the bigger threat is data leakage. If usage of cc:Betty and other such services is in violation of your organization's policies, your users must be informed. If your organization's policies don't address such services and usage, perhaps it's time to consider a policy review. You may also want to consider blocking outbound mail to domains offering such services.You can easily block outbound mail to a domain using transport rules or a Send Connector. Exchange 2010's Information Rights Management (IRM) features can also help you prevent data leakage. What can cc:Betty do to help organizations?  How can cc:Betty help organizations protect themselves from unauthorized use of its service? As a web-based service its success lies in widespread adoption of its app. More users, more user content accumulated, more sticky the service proves to be, and more pageviews it racks up. 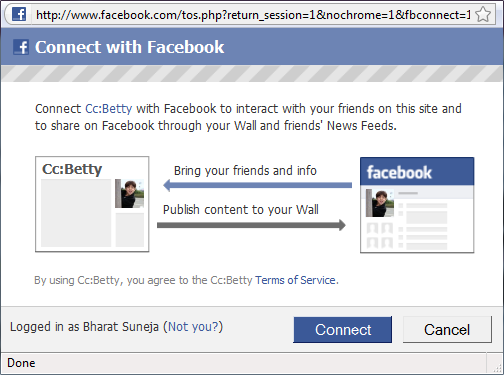 As such, there's no incentive to actually stop users from joining or posting information. In fact, it may directly impact its success. However, cc:Betty and other such services may gain a lot of goodwill and more acceptance if they work with organizations to help prevent data leakage. One way of doing this may be to block email from organizations that register with it. When a user signs up for an account using your organization's email address, he/she gets a polite message about your company not allowing use of the service. Email sent from your domain can also be bounced back with a polite NDR. Does your organization allow the use of cc:Betty.com or similar services? Automating bulk mailbox creation required fairly advanced scripting skills in Exchange 2003/2000. Thanks to the Exchange Management Shell (aka "the shell") in Exchange 2010 and 2007, this task is greatly simplified. It doesn't require any advanced scripting skills and it can be accomplished by relative newcomers to Exchange Server with very little knowledge of the shell. Exchange Server 2007: Bulk creation of mailboxes using Exchange Management Shell shows you how to create bulk mailboxes using user data imported from a CSV file. A related post— Bulk mailbox creation revisited: Adding Active Directory attributes shows you how additional Active Directory attributes not included in the New-Mailbox/Set-Mailbox cmdlets can be populated. When the admin running the command or script enters the password, powershell masks the password by displaying a * for each character entered. One frequently asked question when discussing bulk mailbox creation is: how do I import passwords from a text file? Of course, saving passwords in a text file isn't very secure, but there may be cases where you need to do this temporarily— particularly when you want to create mailboxes/user accounts in bulk and don't want to assign the same password to all accounts. When doing so, it's recommend to set the account to change password on next logon. There may also be other scenarios where you need to import passwords from a text file, so I'll leave the security aspect of this up to you. If you try to use the same command as shown in the previous post, and simply add the parameter -password and the value $_.password in the code block, it'll fail. Cannot process argument transformation on parameter 'Password'. Cannot convert the "[email protected]" value of type "System.String" to type "System.Security.SecureString". To use the password field imported from the CSV file, you must first convert it to a SecureString. You can convert a string to a SecureString using the ConvertTo-SecureString cmdlet. When using the ConvertTo-SecureString cmdlet, you must specify that the source string is provided as cleartext by using the AsPlainText switch (not to be confused with the plaintext message format). The cmdlet also requires that you specify the Force switch to confirm you really want to do this— yes, you've just provided your consent to convert a plaintext string to a SecureString! Exchange 2007 will be supported on Windows Server 2008 R2, Kevin Allison, GM Exchange Customer Experience, posted on the Exchange team blog today. With the general availability of Exchange 2010 just around the corner, Microsoft had earlier decided not to update Exchange 2007 to support its latest server operating system. Exchange 2007 is supported on Windows Server 2003, Windows Server 2003 R2, and Windows Server 2008. This change in course is a result of customer feedback. An update to Exchange 2007 will be released some time next year to enable full support for Windows Server 2008 R2. More in Supporting Exchange 2007 on Windows Server 2008 R2 on the Exchange team blog. Apple implemented device encryption in the iPhone 3GS, improving its odds of being considered for enterprise deployment. However, users using Exchange ActiveSync (EAS) to connect to their Exchange 2007 mailboxes couldn't take advantage of it, even when encryption was required by an Exchange ActiveSync Mailbox Policy, because the device didn't tell Exchange it can support encryption. 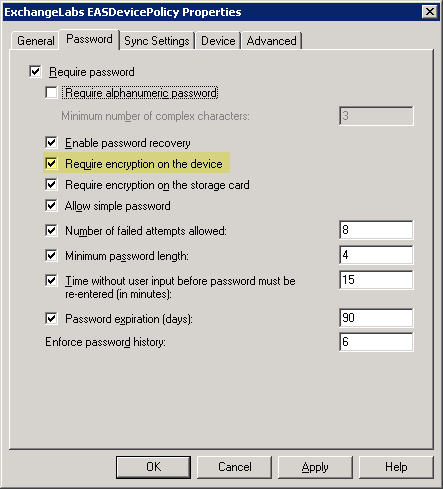 With the latest iPhone OS 3.1 update, iPhones start identifying themselves correctly, and if the ActiveSync policy configured by the administrator requires device encryption (see Figure 1 below), data on the device is encrypted. That's great news— unless you happen to have an older iPhone. If you're using the (Original/Classic/2G/1G?) iPhone , or the iPhone 3G, and device encryption is required, you will be unable to log on to your mailbox. If you already upgraded to iPhone OS 3.1 on an iPhone or iPhone 3G and connect to an Exchange 2007 server, you can ask that the IT admin turn off the hardware encryption requirement for those devices. To reestablish syncing, have your Exchange Server administrator change the mailbox policy to no longer require device encryption. In a nutshell— lower security to allow older iPhones to sync. If you use the same ActiveSync policy for all users, this also lowers security for all mobile devices in your organization! If you want to read InfoWorld (the dabbling-in-sensationalism publication I call MAD magazine of tech journalism and others equate with tabloid journalism) executive editor Galen Gruman's - should I say, more strongly worded take on it, here it is. It turns out that Apple's iPhone 3.1 OS fix of a serious security issue -- falsely reporting to Exchange servers that pre-3G S iPhones and iPod Touches had on-device encryption -- wasn't the first such policy falsehood that Apple has quietly fixed in an OS upgrade. It fixed a similar lie in its June iPhone OS 3.0 update. Before that update, the iPhone falsely reported its adherence to VPN policies, specifically those that confirm the device is not saving the VPN password (so users are forced to enter it manually). Until the iPhone 3.0 OS update, users could save VPN passwords on their Apple devices, yet the iPhone OS would report to the VPN server that the passwords were not being saved. I resisted highlighting that entire quote. Needless to say, if this is indeed true and not merely InfoWorld's interesting interpretation and reporting of facts— it makes Apple's tall claims of being "highly secure by design" and "secure from day 1" across its product line (OS X, Safari browser, the iPhone and Apples online services) worth every bit of suspicion, skepticism, and scrutiny they deserve. IT organizations can also consider using third-party mobile management tools that enforce security and compliance policies; several now support the iPhone to varying degrees, including those from Good Technology, MobileIron, and Zenprise. Although mobile device management products such as those mentioned above can make it cost-effective to manage large number of mobile devices, improve service levels, lower time to resolution, and to some extent help with securing them, I doubt any of them can actually determine if what the device reports about its capabilities or status is really true. To read rest of the article, head over to The other iPhone lie: VPN policy support on InfoWorld.com. Does the iPhone meet the bar for enterprise deployment? Do you allow iPhone users to connect to your Exchange server? In Exchange 2010 and Exchange 2007, you can add custom words or phrases as good or bad words to modify the Spam Confidence Level (SCL) assigned to messages. Messages with a good word or phrase are assigned an SCL of 0 and bypass other antispam agents that fire after the Content Filtering agent. Messages with a bad word are assigned an SCL of 9, and any configured action (delete/reject/quarantine) is taken based on the Content Filtering configuration. Messages containing these words or phrases will be blocked, unless the message contains a word or phrase from the list above: To add a bad word or phrase, type it in this field. On the Edge Transport server, configuration information is stored in the local instance of Active Directory Application Mode (ADAM) on Windows Server 2003. In Windows Server 2008, ADAM is renamed to Active Directory Lightweight Directory Service (ADLDS). Unlike Exchange Server configuration information stored in Active Directory, which is replicated to all domain controllers in the AD forest, Edge Transport configuration information stored in ADAM/ADLDS is not replicated to other Edge Transport servers. You can configure an Edge Transport server using a cloned configuration. See Using Edge Transport Server Cloned Configuration. Get-ContentFilterPhrase | Select Phrase,Influence | Export-CSV "C:\MyFolder\CFPhrases.txt"
Exchange Server 2007 Service Pack 2 is now available for download. SP2 adds support for Windows Powershell v2, and allows coexistence with Exchange Server 2010. SP2 also adds support for VSS backups of Exchange 2007 on Windows Server 2008. More in Details of Exchange 2007 SP2 in-box backup when running on Windows Server 2008 on the Exchange team blog. (In SP2) ...No x-headers are ever promoted to individual properties if a client has not already requested (and mapped) them. Finally, head over to Service Pack 2 Preview: Get-NamedProperty for more details on how to use Get-NamedProperty. Exchange 2007 SP2 updates the Active Directory schema. Details of schema changes, including new attributes and classes, and modifications to existing ones can be found in Active Directory Schema Changes (SP2). Note, once you install SP2, you cannot uninstall it without uninstalling Exchange 2007 from the server. More details and important deployment considerations in Exchange 2007 SP2 Release Notes. Over the past few weeks, Windows 7 Release Candidate has been widely downloaded, used, praised (including by some very vocal critics), and loved. It's easy to fall in love with the Windows 7 user experience, and I don't just mean the lovely wallpapers and themes that are in stark contrast to the kind of visual content that's been generally packaged with Microsoft products in the past. You can see the images in A Little Bit of Personality on the Engineering Windows 7 blog. The Wall Street Journal's Nick Wingfield calls them "some of the most visually arresting background images ever to ship with a piece of software". More in This is Your Windows on Drugs on wsj.com. Last night, Brandon LeBlanc revealed box shots and details of Windows 7 packaging on the Windows blog. 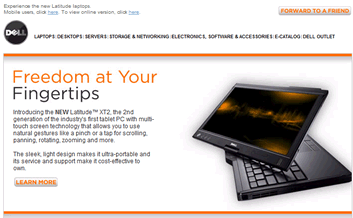 Head over to Check out the New Windows 7 Packaging. One of the Windows 7 features I love is called Direct Access. It's like the Outlook Anywhere version of VPNs. Outlook Anywhere allows Outlook 2007 + Exchange 2007 users to seamlessly access their mailbox from outside (and inside) the corporate network. Yes, part of it is of course RPC over HTTP(S)— available in Exchange 2003, but another important piece that makes this experience so transparent to the user is AutoDiscover. You get out of work (or work remotely), turn on your laptop, and if you have Internet access Outlook 2007 just works as if you were in your office. No VPN connections to establish, no wondering if the required ports are open on the firewall, no additional authentication prompts, and full Outlook access! Although Outlook Web Access has increasingly become more like a full-fledged email client, for many folks there's simply no replacement for the full blown functionality of Microsoft Outlook. With Office Communications Server 2007 implemented right, you can have a similar experience with Microsoft Communicator - seamless access to Instant Messaging, presence information, and the all-important ability to connect to the "voice world". Yes, the voice world, still an inseparable part of our work lives. The ability to click and talk to a Contact is handy, and found in many free IM and telephony services such as Skype. However, what's more impressive and important for many— you can dial phone numbers and receive inbound phone calls on your work phone number, regardless of your location. You can check voicemail, and also redirect calls to another phone number. The voice quality is good enough that it's hard to tell if one's using an ordinary phone or a VoIP phone. Windows 7's Direct Access feature extends this Anywhere Experience. It allows you to access network resources on your corporate network, without having to establish a VPN connection. Now you can turn on your laptop, and if you have Internet access, you can access file shares on your corporate network, use client/server apps, and use RDP to connect to servers/computers "on the other side". DirectAccess uses IPv6-over-IPSec to encrypt communication, and supports multifactor authentication mechanisms such as smart cards. Besides the initial "Wow!" moment, which inevitably follows the first experience with Direct Access, the combined Anywhere Experience boosts productivity, and improves satisfaction levels of remote/mobile workers. More about Direct Access in DirectAccess enhances mobility and manageability, or download Technical Overview of DirectAccess in Windows 7 and Windows Server 2008 R2 for a more in-depth technical look. Apple's iPhone and new Mac hardware announcements are certainly going to get a lot more airplay today, but there's something Exchange users (who use Macs) will welcome. 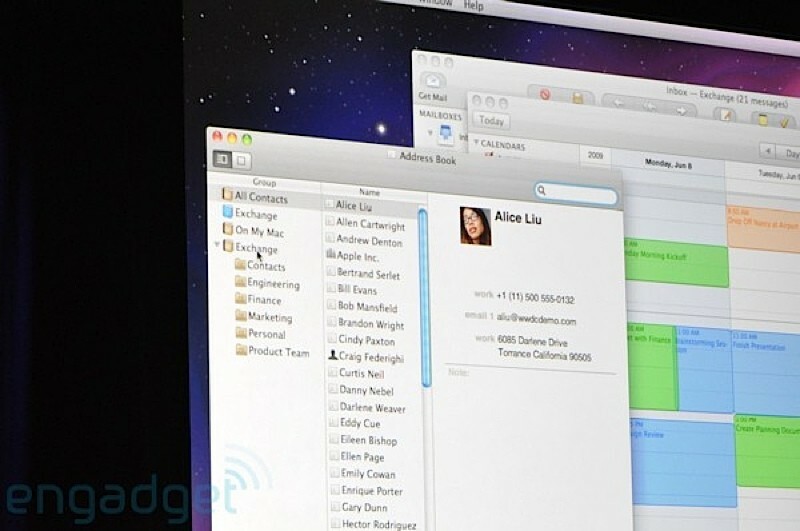 Snow Leopard, Apple's forthcoming Mac OS upgrade adds Exchange Server support to the Mac. 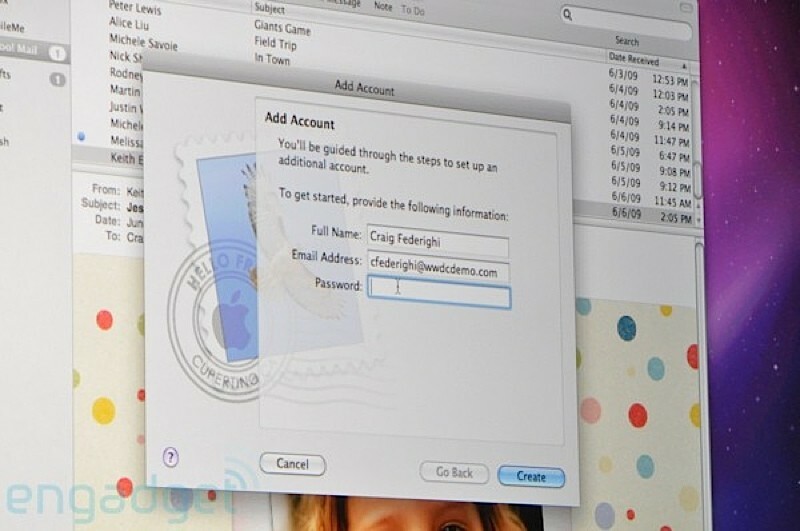 From Phil Schiller's keynote at Apple's WWDC 2009, the following screenshot (courtesy Engadget) shows support for Exchange 2007's AutoDiscover web service, used to automatically configure Exchange clients such as Outlook 2007, and discover other Exchange services. Recipients in the Global Address List (GAL) show up in the Address Book. 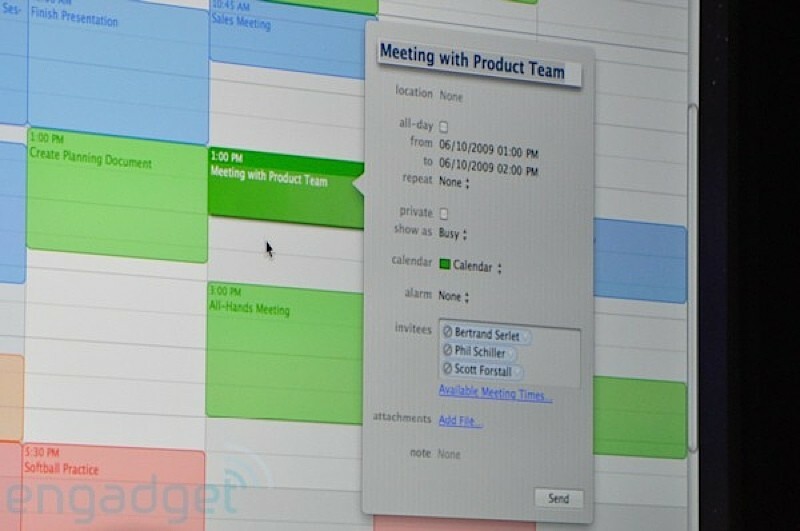 You can also drag a contact and drop in the Calendar to schedule a meeting. Of course, Windows/Outlook users have been used to this functionality for a while. More details as they're made public, although if you don't want to wait for Snow Leopard to arrive, take a look at Exchange Server features supported by Entourage 2008, the equivalent of Microsoft Outlook for the Mac, and a part of Office 2008 for Mac. Exchange 2007 brought with it a number of Exchange shell cmdlets that let you test Exchange functionality (scroll down to the end of this post for a list of the test cmdlets). But how do you test Exchange services are actually available and usable from the Internet? Have you longed for an Exchange cmdlet like Test-ExchangeConnectivity which could test your Exchange services such as Outlook Anywhere, AutoDiscover, Exchange ActiveSync, and SMTP from outside your firewall? Now there is! Exchange Remote Connectivity Analyzer is a web-based service that lets you test Exchange functionality and availability from the Internet. Best of all— it's free! Can my Exchange server receive inbound Internet/SMTP email? Can my Outlook Anywhere (aka "RPC over HTTP" in Exchange 2003) clients connect from outside the firewall? Can my mobile users connect using Exchange ActiveSync phones/devices? Does AutoDiscover work for Outlook 2007 clients? Does AutoDiscover work for Exchange ActiveSync clients? Are the certificates used for these services valid? Head over to Exchange Remote Connectivity Analyzer at testexchangeconnectivity.com. More details, and a great video, in Announcing the release of Exchange Server Remote Connectivity Analyzer on the Exchange team blog. Here's a list of Exchange 2007 Test Cmdlets. Although these test cmdlets aren't intended to replace full-fledged monitoring software or diagnostics systems, they do allow you to test a lot of Exchange functionality quickly and easily, without having to fire up a console or browser! Test-ExchangeSearch: Test Exchange Search status/health for a specified server or individual mailbox. Test-MAPIConnectivity: Test MAPI connectivity to an Exchange server or a specified mailbox. A MAPI logon is performed. This test will also create a mailbox in the MDB for those freshly created/enabled mailboxes that haven't been logged on to. 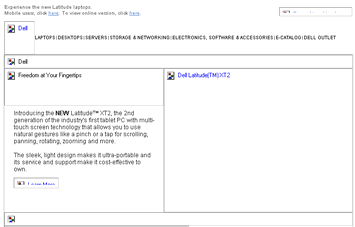 Test-OutlookWebServices: Test AutoDiscover configuration for Outlook 2007. Test-OwaConnectivity: Test connectivity to Outlook Web Access, including certificate validation. Test-SenderId: Test SenderID status for a specified IP Address (the sending host) and domain. Test-ServiceHealth: Test the status of services set to start automatically. Internet Explorer 8 was released last week at MIX09. It's likely many users may already be running either the RTM version or one of the earlier betas. IE 8 is more secure than previous versions (see Stay Safer Online for a list of IE8's security features), including some of the default settings. Here's one of those changes and how it may impact your OWA users (and potentially result in a helpdesk call). Is that the web beacon and form filtering feature of OWA 2007 at work? Web beacons (aka "web bugs") are very small, transparent image files in web pages and HTML email. These 'invisible' images are commonly used by web sites to track visitors, along with cookies. When you inadvertently download such an image in an HTML email message, it calls home and tells Mr. Spammer: "I made it! The email address is valid, and someone even viewed the message!" 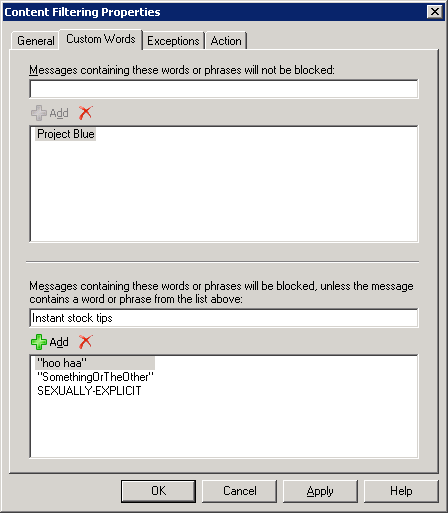 In Exchange 2007, OWA blocks web beacons, and displays the following prompt inline in the information bar (where header information such as subject, sender, recipient, and timestamp are displayed). If users determine the message is from a trusted sender and safe to open, they can unblock the blocked content by clicking on the "Click here" link in the information bar (highlighted in Figure 3 above). Web beacon and HTML form filtering behavior can be controlled for an OWA virtual directory. Use the Set-OwaVirtualDirectory cmdlet to toggle the FilterWebBeaconsAndHtmlForms property, as shown in How to Control Web Beacon and HTML Form Filtering for Outlook Web Access. But you don't see the familiar click here link in the message! You're accessing OWA (or any other web page for that matter) over a secure HTTPS session. The page has images or other unsecure content (not unsecure as in malicious content, but the content is accessed using HTTP) it wants the browser to display. The first time the browser faces this scenario, it sends alarm bells ringing. It warns you, the user almighty, and asks you what you wish to do. You may even remember the IE prompt— even if vaguely so. Yes, the one you dismissed by clicking the "Yes" button, without giving it any thought? Afterall, what harm could a lowly web page do to your highly secure computer? In IE8, the prompt has been reworded, and the choices reordered. Here's what the shiny new prompt looks like. Update Roll-up 7 for Exchange Server 2007 SP1 has been released. Download it here. As noted in previous posts, Exchange 2007 updates are cumulative and release-specific. This roll-up is for Exchange 2007 SP1, and supersedes all previous update roll-ups for Exchange 2007 SP1. As Ananth notes in the post on the Exchange team blog (read 'Update Roll-up 7 for Exchange Server 2007 Service Pack 1 has been released'), this update has 50 fixes, including important fixes for SCR and IMAP4 issues. Over the years, you end up creating a large number of Distribution Groups based on user demands. The regular departmental Distribution Groups such as Sales, Marketing, Engineering, and HR. The geographical ones such as AllUS, All-California, All-BayArea, and so on. The ones by employment status such as All-FTE for full-time employees, All-Contractors, and so on. And ones to facilitate the working habits of executives and senior managers, who want to address their team with a distro (geekspeak for Distribution Group) like JoeSchmoe-DirectReports. Then there are the more interesting ones, such as All-MountainClimbers, All-GrungeFans. Why are so many of these Distribution Groups prefixed with an All-? Can Distribution Groups ever be All-Whatever? Is it possible to include all grunge fans in the All-GrungeFans group? Or only the ones who confess? Can you guarantee everyone in the Sales dept will be included in the All-Sales group by default— even if you used Dynamic Distribution Groups? There will be times when someone does not populate the department attribute for the newly hired Manager of Inside Sales for Timbuktu, and surrounding areas. After two weeks in his exciting new inside sales position, the poor bloke finds out he hasn't received the number of sales leads freely flying around on the distro, and unfortunately won't be able to meet his targets for selling surfboards in Timbuktu that quarter. Over the lifetime of Exchange deployments, there will be groups that get used more frequently, such as Send-Your-Jokes-Here-If-You-Have-Nothing-Better-To-Do-At-Work (the alias conveniently shortened to ExecTalk... ), or the ones that never get used, such as All-ExEmployees (hard as it is to believe, at least one of these two have been spotted in real-world deployments!). One fine day, your friendly manager/auditor/HR person shows up at your desk wanting to know which distribution groups are in use. That's where message tracking logs come to the rescue— assuming these are enabled. If you've been mucking around with these logs in Exchange 2007, you probably know a fair bit of PowerShell, and chances are you're absolutely loving it! If not, head over to previous post Exchange Server 2007: Message Tracking from the command line, and get to know the wonderful cmdlet Get-MessageTrackingLog. How do we get a list of messages sent to Distribution Groups? By getting a list of all Distribution Group expansion events, noted in message tracking logs with the EventID EXPAND. The RelatedRecipientAddress field in the EXPAND entry contains the PrimarySmtpAddress of the Distribution Group expanded. Use the following command to grab a list. You can restrain Get-MessageTrackingLog cmdlet in a number of ways. Since these have been covered in the previous post, I won't go into details here. Of course, you could use the message tracking GUI in EMC— but would it rate anywhere close on your geek satisfaction index? It was a single server topology - Exchange 2007 SP1 sitting behind ISA Server 2006 (SP2), with no previous post-SP1 rollups installed. The System Attendant, Information Store, and Active Directory Topology services started without any issues. The other Exchange services did not. Manually starting the stopped services resulted in the familiar 1053 error - service failed to start in a timely fashion. Installing updates without testing and without reading the accompanying documentation could turn into your little adventure on days you can ill-afford to indulge in such adventures. The consequences could range from hours wasted (read "unbillable hours" if you're a consultant) troubleshooting or restoring service, to potentially more serious consequences caused by the downtime. Managed Folders: Why aren't Calendar items expired? You're testing Exchange 2007's Messaging Records Management (MRM) features to implement your organization's messaging retention policies. You create a new Managed Folder for Calendar items, and then create a Managed Content Setting for it to expire Calendar items in 1 year. Next, you create a Managed Folder Mailbox Policy and add the Managed Folder to the Policy. You apply the policy to a test mailbox. You open the test mailbox, create a single-instance appointment that starts and ends on some date more than a year ago. You expect the meeting, which (starts and) ends at some date more than a year ago, to be expired and the RetentionAction specified in the Managed Content Setting to be applied. It doesn't. Calendar items such as meetings and appointments, and Tasks, are treated differently since these items have an end date. You could create a meeting for a future event, or create a recurring meeting that takes place at a certain interval (daily/weekly/monthly/yearly) during a certain period, or indefinitely. Therefore, the end date of these items needs to be considered when expiring them. 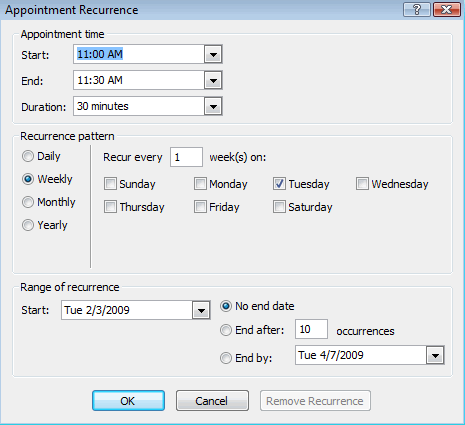 Recurring meetings will expire based on the end date of the last occurrence. Meetings with no end date do not expire. Figure 2: Recurring meetings can be scheduled to occur daily, weekly, monthly, or yearly for a long period, or indefinitely. When expiring such items, the MFA considers the end date. If these items are deleted, and thus end up in the Deleted Items folder, the end date is no longer a factor. The Managed Folder Assistant expires Calendar items in the Deleted Items folder based on the message-received date. If the received-date cannot be determined, the message-creation date is used. More details about retention age for different types of items in "How Retention Periods Are Calculated for Items in Managed Folders". You locate an older PST and copy a Calendar item which occurs in roughly the same timeframe as the one you just created. When you run the MFA, the copied item with an end date from more than a year ago is expired! When processing a mailbox, the MFA queries for Calendar items where the creation date is older than the expiration date. If you create a test item for a past date, as we did in this case, it does not get processed by the MFA until the creation date is older than the AgeLimitForRetention. Of course, you're not likely to run into this issue except in test scenarios. Real-world meetings do not get created in the past. The creation date is guaranteed to be equal to or older than the end date of the meeting..
Searching previous blog posts, I am amazed that I never posted about the book being published early this last year! Yes, Exchange Server 2007: The Complete Reference, the book my coauthors (Exchange MVPs Richard Luckett and William Lefkovics) and I burnt a lot of midnight oil writing, was published soon after I joined Microsoft last year. Given the breadth and depth of Exchange 2007, the number of new features, and the addition of Standby Continuous Replication (SCR) and other functionality in Service Pack 1, we went overboard with the writing— and to cut a long story short, you have 3 bonus web chapters available, absolutely free. Thanks to the awesome folks at McGraw-Hill Osborne. The bonus chapters include one of my favorite ones on "the shell". You can download the bonus chapters from here. Hope you have as much fun reading the book as we had writing it! If you haven't already read Jason Nelson's take on Delivery Service Notifications (DSNs), head over right away to DSNConversionMode and You: An Administrator's Guide. 1. Session scope: By default, the scope of your shell session is set to the Domain of the computer you're running the session on. 2. Result size: By default, shell cmdlets return 1000 results. You can modify this using the Resultsize parameter. The number of search results to return can be specified, or you can use the value unlimited to return all results. To view the current settings for your admin session, simply type $AdminSessionADSettings. You can change the DefaultScope parameter to specify another domain or an OU. (Recipient cmdlets also have the OrganizationalUnit parameter which lets you restrict the command to a particular OU). Note, session variables are limited to the session. Once you close the shell window, it's gone. If you start another session, you'll need to set the ViewEntireForest variable to $True again. Other parameters such as the preferred GC, DC and config DC for the session can also be set by modifying the session variable. Update Rollup 5 for Exchange Server 2007 SP1 has been released. Download it here. As noted in previous posts, Exchange 2007 updates are cumulative and release-specific. 955001 Error message when you use the IMAP protocol to send a SEARCH command that has the CHARSET argument on an Exchange 2007 server: "BAD Command Argument Error"
When testing Managed Folder Mailbox Policy settings in Exchange 2007, you may need to frequently run the Managed Folder Assistant (MFA)) to process a mailbox on-demand, so you can check the mailbox content and MRM logs. However, every time you run Start-ManagedFolderAssistant, the MFA processes all mailboxes on all Mailbox Databases on the server. Processing a single mailbox results in the MFA completing its job quickly and makes parsing the MRM log easier— the MFA only logs events related to the specified mailbox. Now that Exchange 2007 SP1 Update Rollup 4 has shipped, it's time to revisit recent events preceding it. A few days before yesterday's release, a pre-release version of Update Rollup 4 for Exchange Server 2007 SP1 made its way to Microsoft Update. Customers who had the Automatic Updates feature of Windows Server OS configured to automatically download and install updates got the pre-release version downloaded and applied automatically to those servers. Although it was detected and removed quickly from Microsoft Update, the update has left some customers affected by this issue quite annoyed— and understandably so. Microsoft's Scott Roberts posted the details on the Exchange team blog in INFO: Update Rollup 4 for Exchange Server 2007 Service Pack 1, including some of the issues faced by customers, and workarounds. Scott also responded to customers who left comments on the blog post, and frequently updated the post/comments. Although this has proved to be a major annoyance for some customers, overall the number of customers affected was relatively quite low. What's of note is the upfront communication about this through the Exchange team blog. Rather than trying to sweep the issue under the carpet, it was actually talked about! Fessing up about such issues, apologizing where apologies are due, and ensuring adequate controls are in place so such things do not happen again is the right thing to do. It's also a sign of how Microsoft is increasingly being more open about such incidents. Computerworld's Gregg Keizer wrote about this in Microsoft issues wrong update for Exchange 2007. Surprisingly, other tech media outlets such as News.com and InfoWorld did not pick this up. "For a brief period of time on 9/9, a pre-release version of Update Rollup 4 for Exchange Server 2007 Service Pack 1 was inadvertently made available to Microsoft Update, the Microsoft Update Catalog and WSUS servers for download," an unidentified Microsoft employee said in a post to the official Exchange blog. To set the record straight, the linked post is written by Scott Roberts, and clearly attributed to him with a link to his bio. Auto-updating Servers and Server Apps? Given the incident, it's easy to respond with "We can't trust Microsoft to automatically push patches that work!" — and you can't be blamed for thinking that way. In fact, you shouldn't trust any vendor to automatically push patches and updates to servers and server apps. In many organizations, patches for desktop/laptop OS and apps are also accorded similar treatment. Although most software vendors test patches— some more extensively than others, there are a staggering number of variations in configurations, topologies, software and hardware deployed by customers. It is close to impossible to test a patch and account for these variations, and chances of a patch being tested for an environment exactly like yours are arguably quite slim. It is a Patch Management best practice (and has been for as long as I can remember) to not auto-apply patches to servers and server applications without first testing these in a lab environment. A test and change control process— however rudimentary it may be, always helps in orderly deployment of patches, tracking of such updates, and forces you to think of a back-up plan. Small businesses, some with no full-time IT staff, many with a single server, may not be able to justify the cost of a test environment or a consultant to test patches and updates. One option is to use virtualization software such as Microsoft's hypervisor-based Hyper-V (the standalone Hyper-V Server 2008, or the Virtualization/Hyper-V role of Windows Server 2008), the non-hypervisor-based Microsoft Virtual Server 2005 R2, or Microsoft VirtualPC 2007 for desktops— (all of them except Windows Server 2008 are free), to setup a virtual test environment. If you are a consultant responsible for supporting many such small businesses, perhaps you can test patches on behalf of customers, and distribute the cost to a number of customers. You can generate additional revenue, and customers can get the assurance that the patches they deploy are tested by someone responsible for maintaining their servers— someone who knows their environment well. It can reduce the possibility of downtime, and is generally cheaper than actual downtime of critical services or applications. Having patches and updates automatically applied to servers, without any testing, can and will land you in trouble at some point— regardless of the vendor. How did it feel to beat Google?